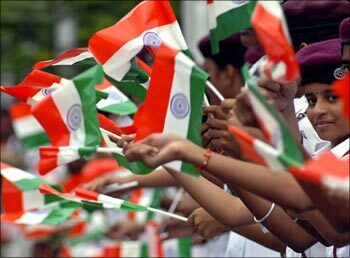 As many as 20 Indian companies have been identified, in a list of 100 firms from emerging markets in a report of 'BCG Global Challengers 2011', as businesses that can challenge existing Fortune 500 firms over the next five years. According to the report released globally by The Boston Consulting Group, these 100 firms, mostly from China, India, Brazil, Mexico and Russia, and for the first time four companies from South Africa and Egypt, are 'the hidden engines' of the global economy. The Boston Consulting Group is a global management consulting firm and a leading advisor on business strategy. These companies, selected from 16 countries, can qualify for inclusion in the Fortune Global 500 in five years as they grow faster and more profitably than MNCs from developed world, the report said. These firms have begun to leapfrog past established multinationals in global industry rankings. Overall, the 100 global challengers generated revenues of $1.3 trillion in 2009. The 100 challenger companies grew annually by 18 per cent and averaged operating margins of 18 per cent from 2000 through 2009. During this period, the annualised total shareholder return of the global challengers that were publicly listed was 17 per cent. If the challengers continue on their current growth path, they could collectively generate $8 trillion in revenues by 2020 -- an amount roughly equivalent to what the S&P 500 companies generate today. Click NEXT to find out which are 20 Indian companies that have the potential to challenge world's top MNCs over the next five years. . . NOTE: The companies are NOT ranked, they have been listed in alphabetical order. Image: Indian firms are making a mark in the global arena. Bharti Airtel is India's largest and the world's fifth biggest telecom operator. It has over 200 million subscribers. Sunil Bharti Mittal, chairman of Bharti Airtel, is a first generation entrepreneur. Mittal's Bharti Enterprises is now one of India 's leading business groups with interests in telecom, financial services, retail, manufacturing, and agri business. The group has a market capitalisation of about $40 billion and employs over 30,000 people. 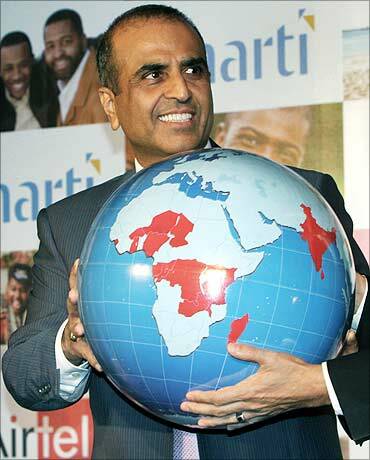 Image: Sunil Bharti Mittal, chairman of Bharti Airtel. 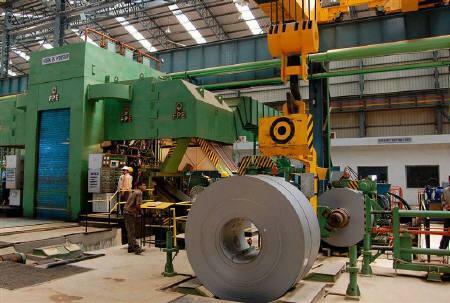 The Pune-based, Baba Kalyani-led Bharat Forge is India's largest forging company. Globally it ranks second, and has units spread over the United States, China, Germany, Sweden, Scotland, and the United Kingdom. Bharat Forge was founded in 1961 by N A Kalyani, father of the current chairman Baba Kalyani. 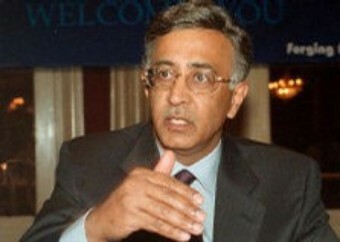 Image: Bharat Forge chairman Baba Kalyani. The Bajaj Group is among the top 10 business houses in India. The group's flagship company, Bajaj Auto, is ranked as the world's fourth largest two- and three-wheeler manufacturer. Founded in 1926 by the redoubtable Jamnalal Bajaj, the company's businesses range form automobiles (two-wheelers and three-wheelers), home appliances, lighting, iron and steel, insurance, to travel and finance. Jamnalal Bajaj was a close confidant and disciple of Mahatma Gandhi. Rahul Bajaj is the chairman, while his son Rajiv is the managing director of the company. 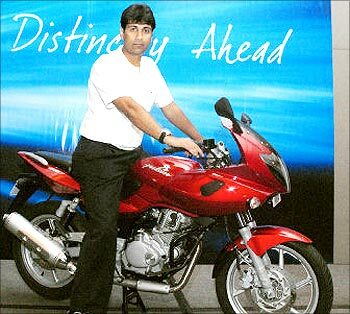 Image: Bajaj Auto managing director Rajiv Bajaj. Gautam Thapar, chairman and CEO, heads Crompton Greaves. The company is has business interests in manufacturing and marketing of products related to power generation, transmission, and distribution. Dr Reddy's Laboratories was set up in February 1984 by Anji Reddy, a scientist in the state-owned Indian Drugs and Pharmaceuticals Ltd. It is now one of India's largest pharmaceutical companies. It's domestic turnover has crossed the Rs 1,000 crore (Rs 10 billion) mark. Anji Reddy is the chairman, while the day-to-day operations of the pharma major are handled by chief executive officer, G V Prasad. 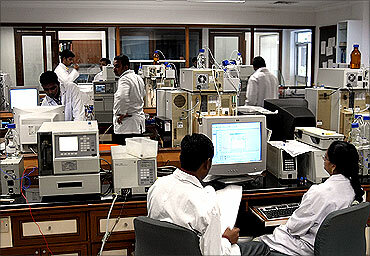 Image: Quality Control Lab, Hyderabad. Hindalco, a subsidiary of Kumar Mangalam Birla-led A V Birla Group, is one of the world's largest aluminium manufacturing firms. D Bhattacharya is the managing director of Hindalco and he heads the Aditya Birla Group's non-ferrous metals business. In 2010, Bhattacharya received a salary of Rs 17.143 crore (Rs 171.43 million). 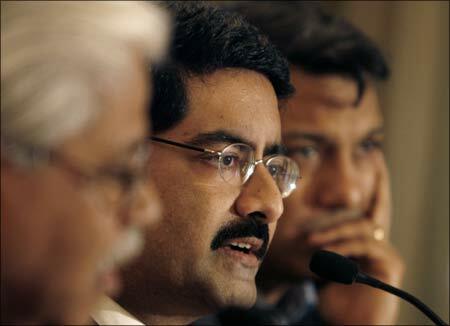 Image: Hindalco chairman Kumar Mangalam Birla. Infosys Technologies, the third largest and arguably the best known IT company in India, was born on a morning in January 1981, when N R Narayana Murthy and six software engineers sat in his apartment debating how they could create a company to write software codes. Six months later, Infosys was registered as a private limited company on July 2, 1981. Infosys co-founder N S Raghavan's house in Matunga, northcentral Mumbai, was its registered office. It was then known as Infosys Consultants Pvt Ltd. The company's starting capital was $250 that Murthy borrowed from his wife Sudha. The six friends who joined Murthy to launch Infosys were Nandan Nilekani, N S Raghavan, S Gopalakrishnan, S D Shibulal, K Dinesh and Ashok Arora. The journey of Infosys since then has been a dream run. 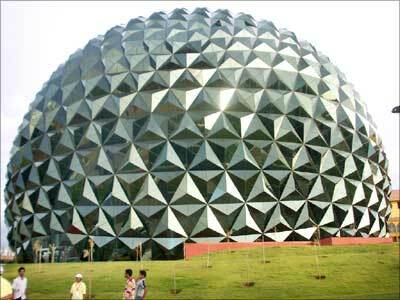 Image: Infosys Technologies campus in Mysore. Anil M Naik is the chairman and managing director of Indian engineering giant Larsen & Toubro. The company is a conglomerate with operations spread across the globe. Anil M Naik was awarded the Padma Bhushan in 2009. In 2010, his salary was Rs 15.297 crore (Rs 152.97 million). He also received a commission of Rs 10.55 crore (Rs 105.5 million). Image: Larsen and Toubro chairman A M Naik. 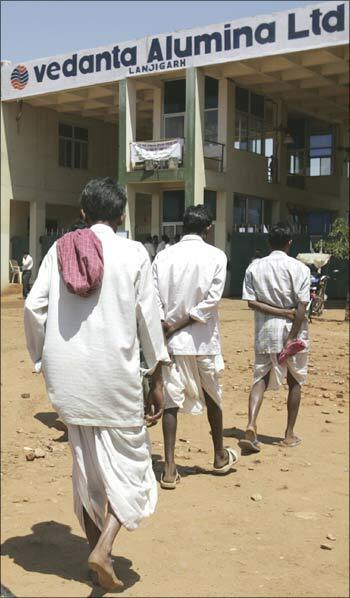 The Mumbai-based Lupin is said to be the world's largest manufacturer of the anti-TB drugs. It is India's fifth largest pharmaceuticals firm. Nilesh Gupta is the president of the company, while Kamal Sharma is the managing director. 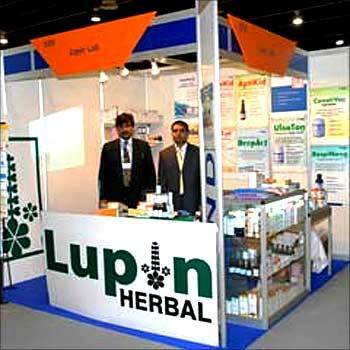 Image: Lupin Pharmaceuticals stall at a fair. Mahindra & Mahindra is one of India's largest automobile manufacturing companies. The Mahindra Group, however, also has widespread interests in information technology, banking and finance, real estate, healthcare, and lifestyle industries. 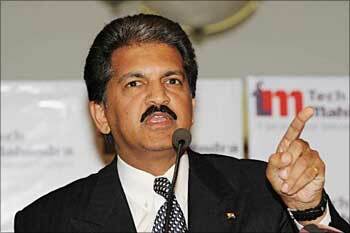 The conglomerate is led by vice chairman Anand Mahindra. Image: Mahindra and Mahindra vice chairman Anand Mahindra. Reliance Industries is India's most valuable company in terms of market capitalisation. It is ranked 264th in Fortune Global 500 list and 126th in the Forbes Global 2000 list. Reliance was founded by the redoubtable Dhirubhai Ambani in 1966. 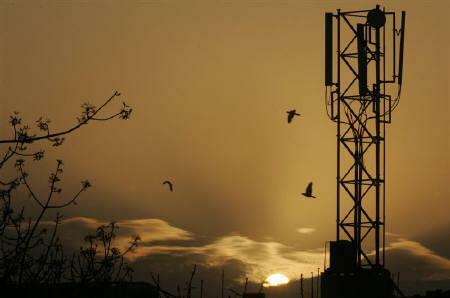 The petrochemicals-to-telecom giant split some years ago into two groups, one led by Reliance Industries chairman Mukesh Ambani, and the other -- Anil Dhirubhai Ambani Group -- led by his younger brother Anil. 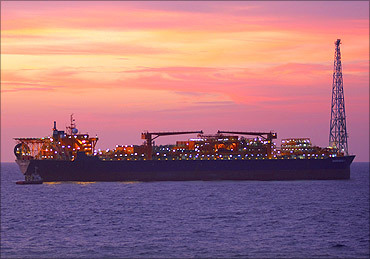 Image: Reliance Industries Ltd's rig off the coast of Mumbai. Suzlon Energy is a global wind power major with interests in Belgium, China and Germany, besides India company based in India. The Pune-headquartered company is led by Tulsi Tanti, who is its founder, chairman and managing director. 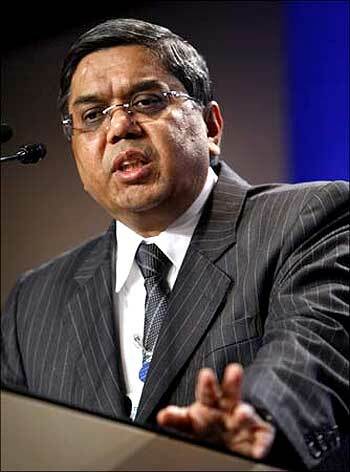 Image: Suzlon Energy chief Tulsi Tanti. Tata Chemicals is a global company with interests in businesses that focus on LIFE: living, industrial and farming essentials. It is the world's second-largest producer of soda ash. With manufacturing facilities in India, the UK, the US and Kenya, TCL is the world's most geographically diversified soda ash company, with an efficient supply chain that can service customers across the globe. Established in 1939 at Mithapur (in Gujarat, India), TCL is a part of the Tata Group. Ratan Tata is the chairman of the company, while Murali Sastry is the chief scientist. Image: Ratan Tata, chairman ofTata Chemicals. Tata Communications is a leading global provider of long distance communications. Before the Tatas bought it out, it was called Videsh Sanchaar Nigam Limited. It is India's largest provider in data centre services and also operates India's largest data centre in Pune, says Wikipedia. Ratan Tata is the chairman, while Narasimhan Srinath is the company's managing director. 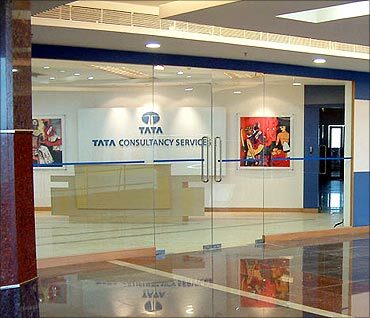 The Mumbai-headquartered Tata Consultancy Services is India's largest software services consulting company. Ratan Tata is the chairman of the company, while S Ramadorai is vice chairman, and N Chandrasekaran is the chief executive and managing director. Image: Tata Consultancy Services office. 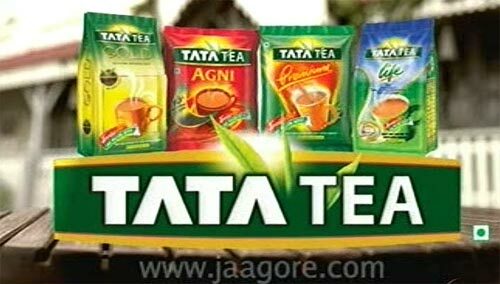 Earlier known as Tata Tea, Tata Global Beverages is the world's second largest manufacturer and distributor of tea, say news reports. Ratan Tata is the chairman of the company. Tata Motors is India's largest automobile company with consolidated revenues of over $20 billion. It is the fourth largest truck manufacturer and the second largest bus manufacturer in the world. With an employee strength of 24,000 workers, it also manufactures passenger vehicles like the Nano, Indica, Indigo, etc. Tata Motors some time ago acquired the UK-based Jaguar and Land Rover. 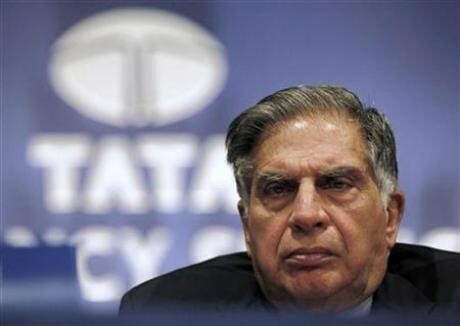 Ratan Tata is the firm's chairman, while Ravi Kant is vice chairman. Carl Peter Forster is the chief executive of the automobile major. 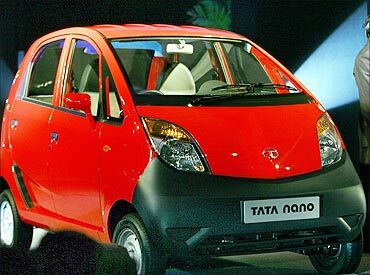 Image: Nano, from Tata Motors. 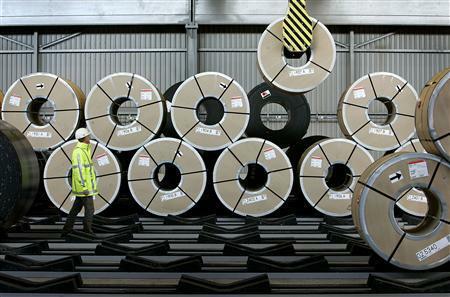 Tata Steel, which acquired European steel giant Corus in January 2007, is the world's seventh largest steel maker. Ratan Tata is the company's chairman and B Muthuraman is the vice chairman. Anil Agarwal-led Vedanta Resources plc is a major mining and metals company. 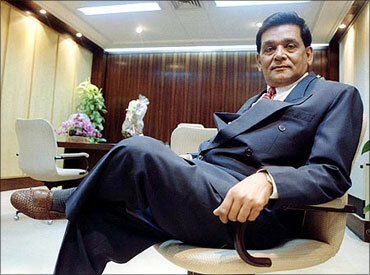 M S Mehta is the company's chief executive. The company is headquartered in London. Wipro is India's second largest IT firm. It employs more than 115,900 people worldwide. Azim Premji is the IT major's chairman, while it has two joint chief executives: Girish Paranjpe and Suresh Vaswani. 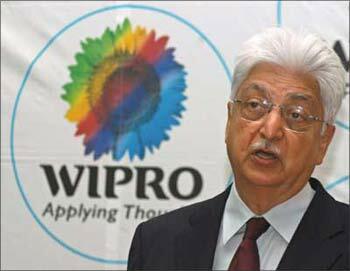 Image: Wipro chairman Azim Premji.